From a recent survey carried out by the Veteran Horse Society, over 30% of the horses in the United Kingdom are over the age of 15. With available advanced technology and better feeds on the market it is not unusual to see horses alive and active well into their 20’s and 30’s. As our horses get older, we can become more emotionally attached to them. This is because they have often given us years of loyal service and therefore have become members of our families. For this reason we must take extra care in understanding them in their advancing years. As the horse ages, they become more susceptible to disease, the detrimental effects of parasitism, dental problems from worn out teeth and their body systems function less effectively. To make matters worse, age related disorders start to occur. It is your responsibility to ensure a proper diet, good health care and regular exercise to keep them happy and hold these problems at bay. If you are concerned that your horse does not seem to be coping as well as they used to do consult your veterinary surgeon who will advise you on the appropriate steps to take. Loss of body condition is one of the most common problems an owner encounters with a geriatric horse. This is especially true with the ‘hard-keeper’ breeds, such as Thoroughbreds. Older horses cannot easily gain lost weight and become more susceptible to disease and cold when thin. The main causes of poor body condition are poor teeth, parasitism (worms), liver disease and reduced gut function. Your veterinary surgeon will be able to provide further advice on these conditions and ways to control or prevent them. It is as equally important that the geriatric horse should not be allowed to become fat. Obesity also causes problems for the older horse in that it can make arthritis worse, lead to laminitis and stress other body systems. Typically, horses can be graded on their body condition on a scale of 0 to 5, with 0 being very poor and 5 being very fat. A similar scale is employed for donkeys. A horse should be maintained between 2 and 4. The nutritional requirement of geriatric horses varies greatly between individuals and needs to be assessed on an individual basis. Below is some general information on nutrition for an older horse. Your veterinary surgeon will be able to provide you with more detailed advice for your horse’s specific requirements.Generally, feeding the geriatric horse should include high-quality roughage/forage with supplemented vitamins and minerals. Hay or haylage should account for a large proportion of the horse’s food. Any additional energy needs can come from concentrates (coarse mixes) that are formulated for the older horse making them easily digestible and easier to chew. Protein requirements increase in the geriatric horse and mixes designed for this age group will allow for this. Horses with specific dental problems may have to have their food significantly wetted to make it easier for them to eat. As older horses have problems with the movement of food through the gut it is important that they have regular exercise through turn-out and access to grass. Grass acts like a naturally occurring laxative as it has a high percentage of water and promotes normal movement of food in the gut. Horses out at pasture are less likely to suffer colic as they graze and ingest in a natural manner i.e. continuously and slowly. If turnout is not available for some reason, your veterinary surgeon should be consulted to advise on an appropriate diet for your geriatric horse. Remember to regularly worm your older horses as you would your younger horses.The older horse should not have to compete for its food so it is important to ensure that it is left in peace from other horses when eating. Finally, close attention should be paid to the overall body condition (see page on body condition for assessment techniques) so you can determine the amount of feed to give. Consult your veterinary surgeon who can help you with an individual feed plan for your horse. 1 Poor Prominent pelvis and croup. Sunken rump but skin supple. Deep cavity under tail. Ribs easily visible. Prominent backbone with sunken skin on either side Ewe neck, narrow and slack tissue. 2 Moderate Rump flat either side of back bone. Croup well defined, some fat. Slight cavity under tail Ribs just visible. Backbone covered but spine felt. Narrow but firm. 4 Fat Gutter to root of tail. Pelvis covered by fat. Need firm pressure to feel. Ribs well covered – need pressure to feel. Slight crest Wide and firm. 5 Very fat Deep gutter to root of tail. Skin distended. Pelvis buried, cannot be felt. Ribs buried, cannot be felt. Deep gutter along back. Back broad and flat Marked crest very wide and firm. Fold of fat. As the horse ages, the teeth become worn and irregular due to years of grinding hard feeds and course hay. When the hard enamel wears off, the softer ‘dentine’ from inside the tooth is exposed. This softer dentine erodes faster and therefore leads to lost and broken teeth and root abscesses. What are the signs of teeth problems? Horses over the age of 15 should therefore have their teeth checked every 6 months by a veterinary surgeon or qualified equine dental technician. Please see the section on dental care for further information. Osteoarthritis is a term used to describe inflammation of the joints. The healthy, normal joint contains a viscous fluid (synovial fluid) that lubricates its movement and significantly reduces friction between the cartilaginous ends of each bone. Cartilage damage is frequently seen in horses that have had years of wear and tear on joints. This eventually catches up with them later in life, leading to arthritis. Managing joint disease is a common dilemma for owners of older horses. The degree of expected usefulness of an older horse can range from simply maintaining pasture soundness to keeping the horse fit for advanced level eventing. How can you and your vet manage your horse? You may need to adjust his work routine. Regular light exercise and turn out helps stimulate joints, improving the health of cartilage and reducing fluid build up during box rest. Work closely with your farrier. As horses get older their hooves deteriorate and become brittle. Reluctance to move due to sore feet will make your horse stiff all over. Oral joint supplements are the least invasive form of treatment that can boost joint health. A more invasive form of joint supplement is steroid or nutrient injections into the joint which are believed to prevent further damage. Maintain a good, well balanced diet for overall optimal health. Excess body weight should be lost, to help reduce the strain on joints. Adequate shelter from weather and blankets/rugs if needed. Regular deworming every 6 – 13 weeks (depending on product used). Regular vaccinations (immunity does not accumulate from years of regular vaccination). Constant supply of fresh, clean water. 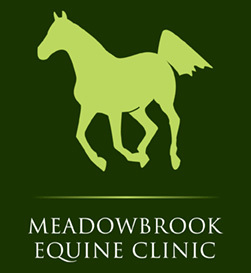 Annual health exam by your veterinary surgeon; they may also check for lameness, laminitis and Cushing’s disease. Dental exams every 6 months by your vet or a qualified equine dental technician. Regular hoof trimming and shoeing. Daily grooming and examination of the feet, legs and body. Lots of TLC to reward your horse for the many years of loyal companionship!